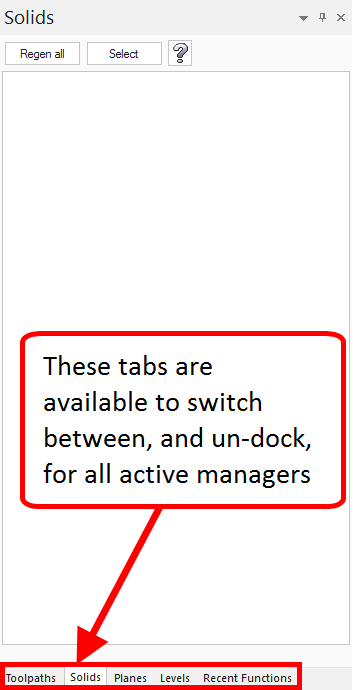 If Auto Hide is off, the tabs will appear at the bottom of the manager panel. 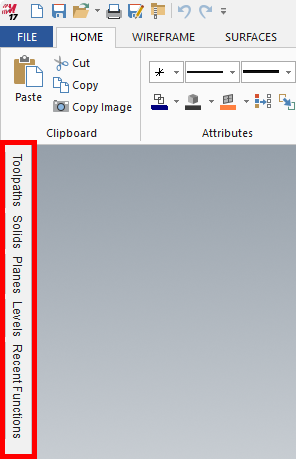 If Auto Hide is on, the tabs will appear on the left hand side of the graphics window. Auto Hide is controlled here.